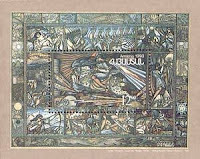 In 1993, Armenia issued a souvenir sheet picturing a painting by Hakop Kojoian of David of Sassoun, a national hero who drove Arab invaders out of Armenia (Scott #451A). 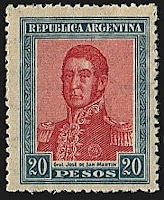 He is the subject of an Armenian epic poem, the Sasuntsi Davit, which recounts his exploits.Only 20,000 of the sheet were issued, and Scott '13 prices it unused at $10.00. 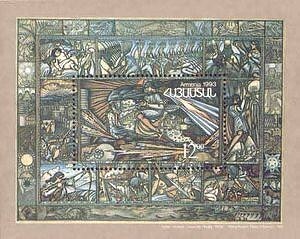 This inexpensive souvenir sheet is an attractive Art/Literature topical and also appeals to Armenian nationalist sentiment. Armenia, a nation of about 3.2 million, has made steady economic progress in the face of a number of obstacles, including its legacy of dependence on the Soviet Union as a centrally planned economy, a catastrophic earthquake, and an unresolved conflict with Azerbaijan over the Nagorno-Karabakh region. Major economic sectors include agriculture, chemicals, electronics, machinery, and mining, and new industries, such as precious stone processing and jewellery making, information and communication technology, and even tourism are beginning to develop. The economy is also bolstered by investment and support from 5.7 million Armenians living abroad. Annual GDP growth has averaged just under 3% over the last 5 years, although this reflect a contraction of 14% in 2009 due to the global financial crisis.. 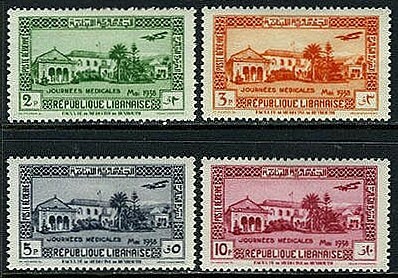 In 1949, the French issued a compound semi-postal and airmail semi-postal set for French Morocco, picturing scenes of their colony (Scott #B38-41/CB31-34). 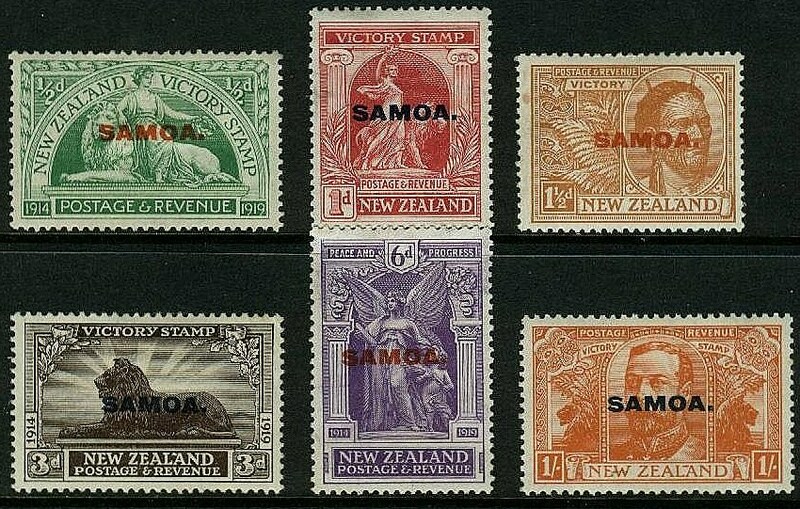 In addition, they issued two souvenir sheets containing the stamps of each set (Scott #B41a/CB34a). The funds from the non-postal premiums were used to fund projects promoting Franco-Moroccan cooperation. 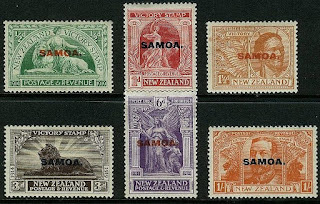 75,000 of the sets and 15,000 of the souvenir sheets were issued, and Scott '13 prices the sets unused at $17.60 and the sheets at $52.50. 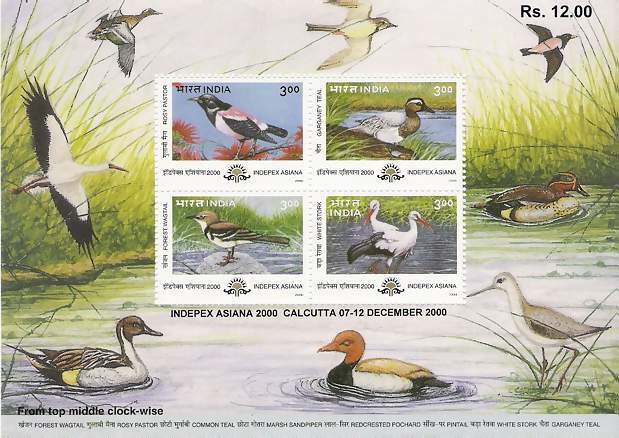 In 2000, India issued a souvenir sheet celebrating the Indepex Asiana Stamp Exhibition, and picturing native birds (Scott #1834b). 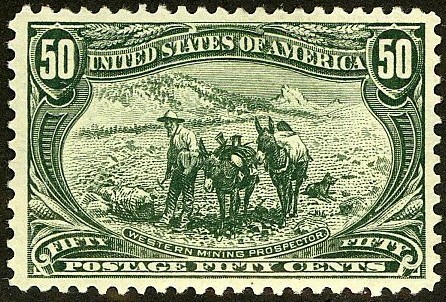 50,000 were issued, and Scott '13 prices the unused souvenir sheet at $6.00. 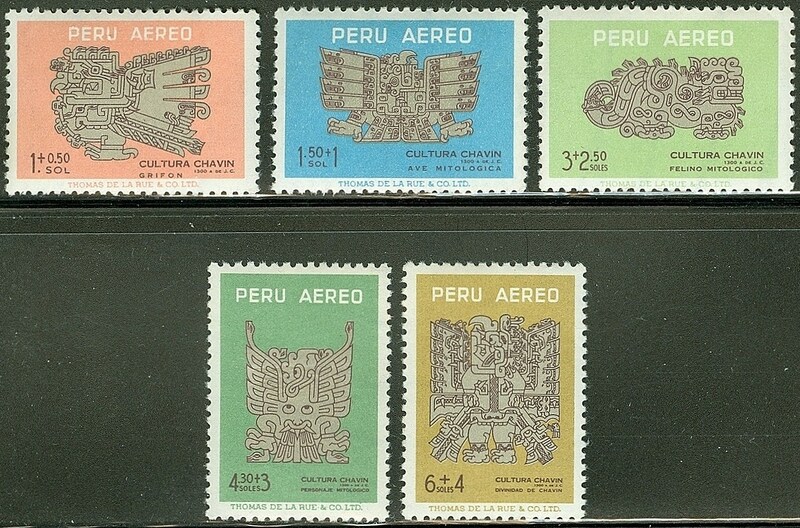 All Indian souvenir sheets with printings of 100,000 or fewer should be accumulated, with priority given to those issues which have strong thematic appeal. 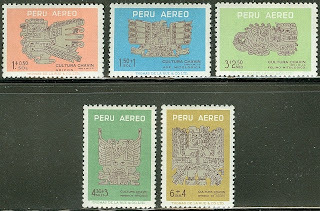 The Indepex Asiana souvenir sheet has obvious appeal as a Animals/Birds topical and should do very well indeed. 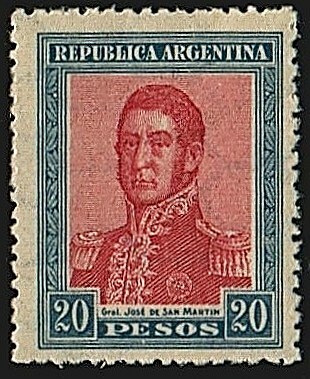 India is a rapidly developing nation of over a billion people, and millions of Indian collectors will likely be converted to the insidious cult of Philately over the next decades.